It was a disappointing night for the domestic contingent but a starlet shone on either side. 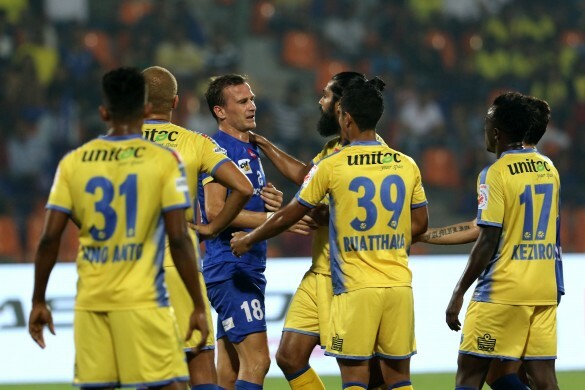 Kerala Blasters took home three points with a brilliant first half goal scored by Iain Hume, hence avenging Mumbai's 5-0 drubbing from last season in the corresponding fixture. Mumbai City's woes continue due to this loss and have put a huge dent on their top four aspirations. Amrinder was a disappointed figure at the back as his good performance wasn’t rewarded. He did concede a goal but it was unfair on him especially due to the fact that the game was re-started in a dubious manner. His performance was exceptional even when CK Vineeth put on considerable pressure and if the goal wasn’t counted, the game would have ended with a clean sheet for him. Wadoo showed flashes of his past form but overall was largely unnoticed. He did play a crucial role in defence alongside Lucian Goian but was outshone by the young Davinder Singh for most of the match. This seems to be his farewell year in top flight football for the once national team regular. The young hotshot for Mumbai City did his job well and even took on senior players with a mature and tough outlook. He gave no space to Vineeth and Hume who looked menacing everywhere else on the field. Both Alexandre Guimaraes and Stephen Constantine were right about the talent of this young gun. He made three clearances and contributed in attack with two crosses. Ruidas hasn’t looked back since he started playing at the left-back position. His continued progress has been noticed as he suceessfully shut off Mark Sifneos and matched him toe-to-toe. Abhinas put in four crucial tackles, made three clearances and all the while contributed going forward by putting in three crosses. His improvement has been key to Mumbai City FC’s game this season. Balwant showed his versatility as an attacking player and pushed his team forward. He looked to have been carrying an injury but still tried to play his heart out. He created three chances for his team and also dispatched three shots towards the goal, but was unlucky to have missed out on scoring. 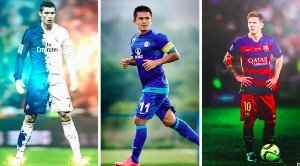 With the exception of Jeje Lalpekhlua and Chhetri, Balwant has been the only in-form Indian striker who has contributed heavily to his side. There are players like Ruidas who put their heart on a sleeve for their team and then there is Sanju Pradhan. Sanju is a hard-working chap no doubt; but doesn’t do much on the field to be so regularly selected. His 56% passing accuracy was seasoned with his eight inaccurate crosses which did not help his team in any way. He nearly gifted Kerala a second goal when he misplaced a pass during his team’s set-piece and sent Kerala sprinting towards his goal. Although, the player from KBFC put the ball miles over the crossbar, Pradhan’s absent=mindedness meant that he looked like a liability to a team trying to scrape away wins. 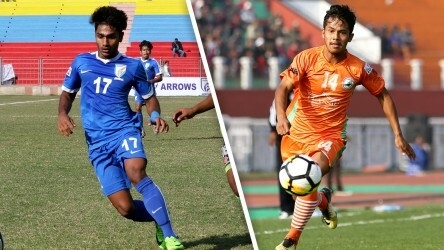 Pranjal Bhumij just played 33 minutes as a substitute but the young kid put in three crossses and even created a very close chance for his side in such a short time. Game time is necessary for a budding talent and he can easily replace Sanju on the team-sheet after this eye-catching display. He looks to be one moving progressively forward. Subhasish played carrying an injury for the Blasters and was continuously tested by the Mumbai attack. 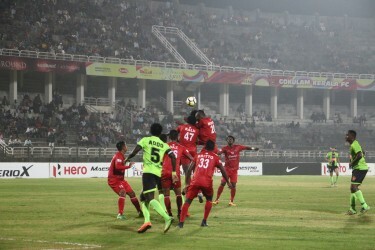 He contributed heavily to his team’s time-wasting efforts as he frequently forced referee Pranjal Banerjee to stop the game. What’s surprising is that although he was shown a yellow in the first half, he wasn’t sent off for the same offences in the second. He did do his job well but could have easily been auditioning for Bollywood if he didn’t have a contract with KBFC. The Blasters right-back had a rather forgettable 54 minutes of the game. He was quite frequently overlapped and dominated by the pair of Everton Santos and Ruidas. He was taken off due to injury and looked like a shadow of his former self in the yellow jersey. He needs to get his fitness back or kiss his position in the team goodbye. The leader of the Blasters was a bit tacky in the backline, prone to committing fouls. However, his experience saved the team on many occasions. Six clearances and two blocks are a testament to that. But other than that he hasn’t impacted his team as well as he would in the past. Sans Wes Brown, he wouldn’t have been able to keep a clean sheet. Probably the most troubled player on the field. He played on the left of a back three and showed maturity in defence. He stood tall against potent attackers like Achille Emana and in-form Thiago Santos to deny them any room to attack. He looks to be one of the few to have improved due to the presence of David James. 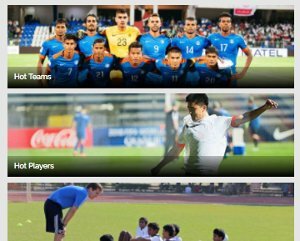 The only one that did not work for the Blasters was the left wing player Jackichand Singh. Despite being in a counter-attacking team, he was stuck between the pairing of Santos and Abhinas. Being a forward, he had more impact in making interceptions and tackles rather than forward runs. Milan played 86 minutes and faced the brunt of the Mumbai midfield. The Islanders bashed and bullied him around and he even suffered three fouls. The midfielder needs to grow some muscle to be able to influence the game in his position. He was subbed off for Siam Hanghal at the 86th minute. Vineeth was a thorn in the side of Mumbai’s defence but was surprisingly out-muscled by the new kid on the block, Davinder Singh. He contributed heavily to the game but failed to score despite having made incisive runs. Once fully fit he will have a greater impact on the game. A short cameo for his side in the dying minutes trying to hold down the fort. Did not play enough minutes to get a rating.